This 6-hour tour begins from Kathmandu and takes its first sightseeing intermission at a legendary town, Bhaktapur. The tour continues to Panauti, a miniature village reflecting the echoes of ancient Nepali-Newari community. UNESCO World Heritage Site, Bhaktapur is an abundant illustration of Newari architectural skills, a city of pagoda roofs and melodic blend of wood, mud-brick and copper. 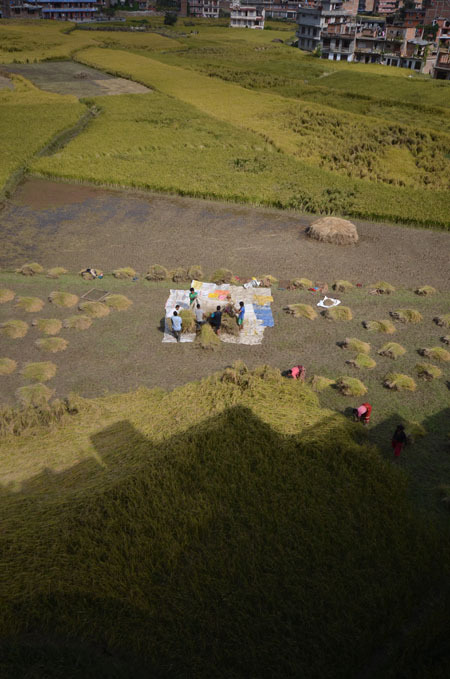 The rest of our tour will be spent in Panauti, a traditional agricultural town where a traveller can experience the authentic Nepali-Newari hospitality and enjoy the local home-cooked meals. From the designated meeting point in Kathmandu, we will take a highway to reach Bhaktapur, which is about 7 miles (12km) far from the capital city. 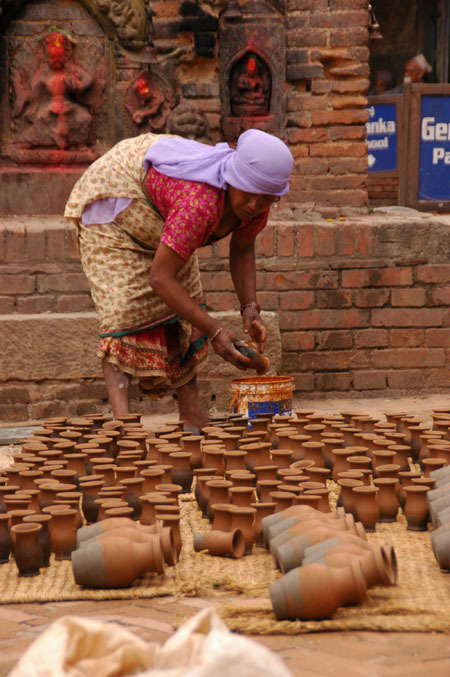 Bhaktapur is an interesting and historical Newari town. 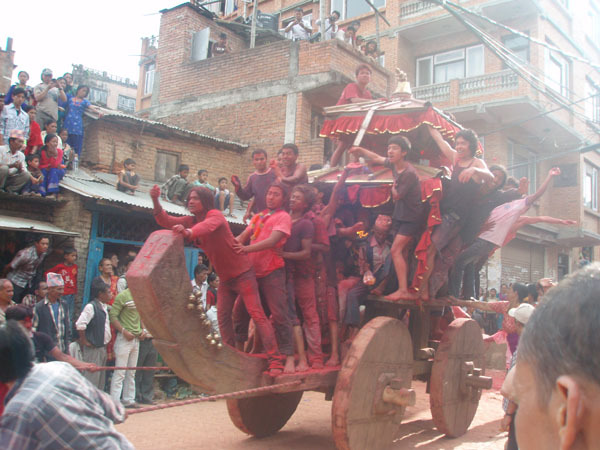 From the 13th century, Bhaktapur began to witness the reign of Malla Dynasty. Kings of Bhaktapur were so fond of wrestling; Malla, which means wrestler/wrestling, became the hereditary title to the newborn prince, later to become king, of Bhaktapur. Among three major capitals of the ancient Kathmandu Valley - Kathmandu, Patan and Bhaktapur; Bhaktapur Durbar Square have more wide and open squares to entertain wrestling bouts for kings, officials, and the local population. Throughout the city, to this date, beefy carved wrestlers are the city’s trademark, which is also worshipped as the guardians of holy temples. After Bhaktapur, we will visit Panauti. It is a small, but a beautiful Newari town. 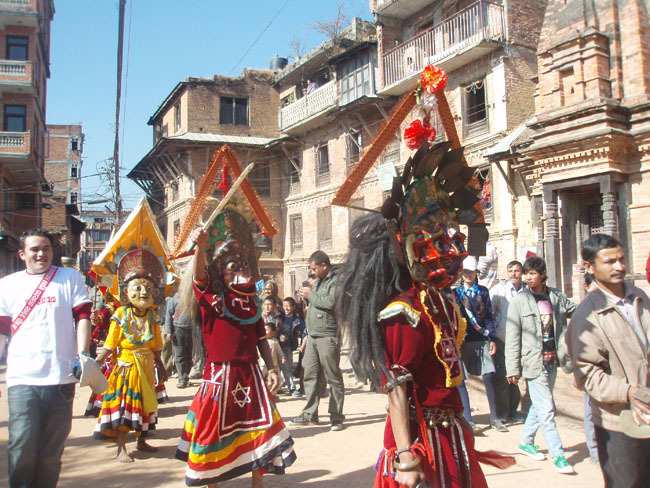 Local folklore mentions Panauti was an offering from a King of Bhaktapur to his sister as a dowry gift. Surrounded by green hills and holy rivers, this spiritual town is full of, both, Hindu and Buddhist temple. For such reasons, Panauti is considered as a hidden-gem of Nepal. In Panauti, we will have a lunch in Panauti Community Homestay. Established by the local women of Panauti, Panauti Community Homestay is a paradigm of successful women empowerment/entrepreneurship in Nepal. In community Homestay, we will spend some tea-time with a local host family. 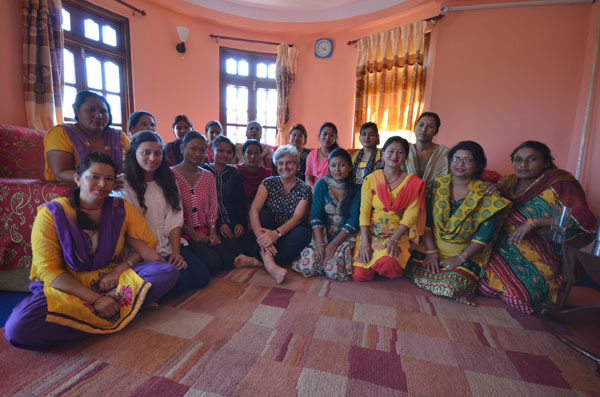 It is a great opportunity to experience Nepalese local lifestyle, experience its authentic hospitality, taste the local food, and in the end, we are supporting and motivating local women-entrepreneurs just by appreciating their local culture and tradition. From the designated meeting point in Kathmandu, we will take a highway to reach Bhaktapur, which is about 7 miles (12km) far from the capital city. 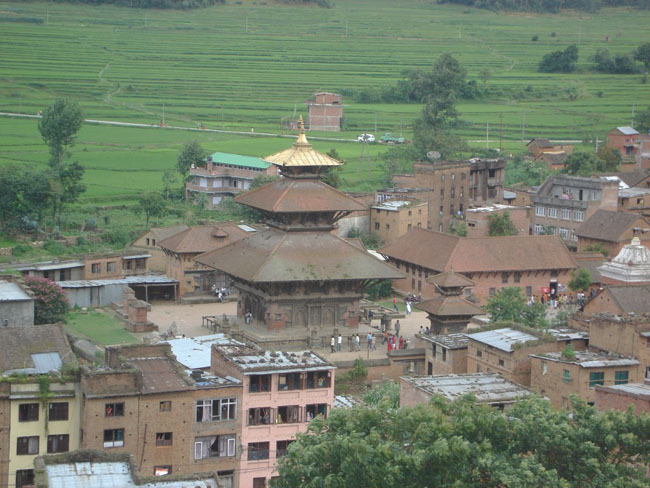 Bhaktapur is an interesting and historical Newari town. 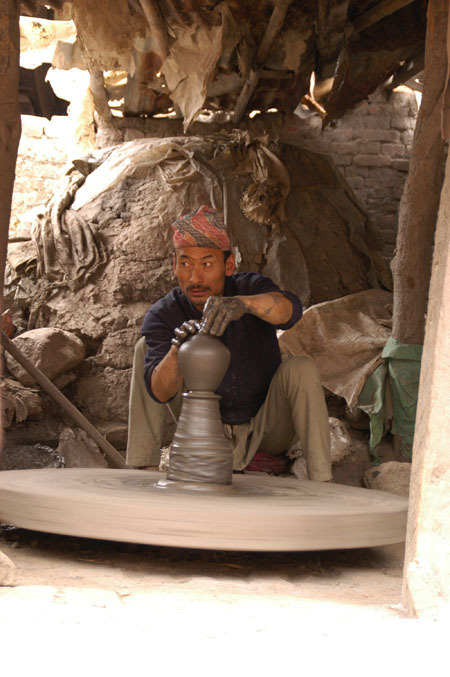 From the 13th century, Bhaktapur began to witness the reign of Malla Dynasty. Kings of Bhaktapur were so fond of wrestling; Malla, which means wrestler/wrestling, became the hereditary title to the newborn prince, later to become king, of Bhaktapur. 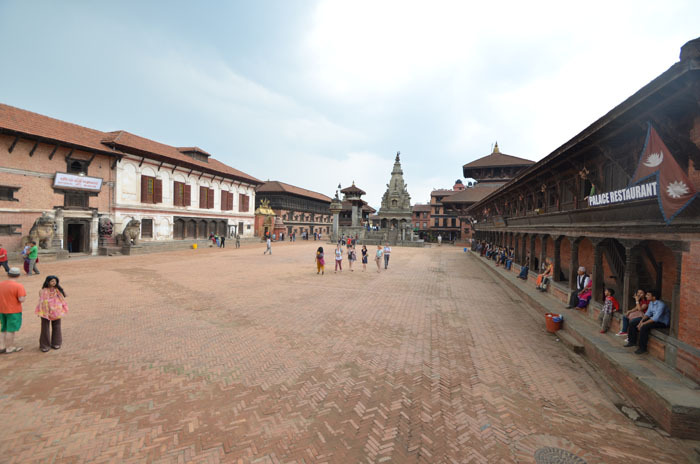 Among three major capitals of the ancient Kathmandu Valley – Kathmandu, Patan and Bhaktapur; Bhaktapur Durbar Square have more wide and open squares to entertain wrestling bouts for kings, officials, and the local population. Throughout the city, to this date, beefy carved wrestlers are the city’s trademark, which is also worshipped as the guardians of holy temples.